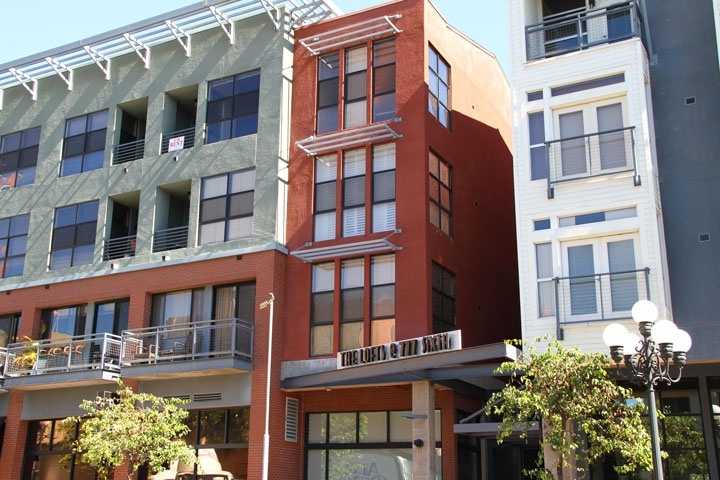 The Lofts at 777 Sixth condos are located at 777 6th Ave in San Diego. If you are looking for a condo in the downtown Gaslamp District of San Diego then The Lofts at 777 Sixth may be the place for you. The lofts at 777 Sixth is a very nice building located on the corner of 6th Ave. & F Street. The building has earned a walkscore of 98 which means you can walk to everything that downtown San Diego has to offer. Association dues run $278.00 a month. Below are the current The Lofts at 777 Sixth downtown San Diego condos for sale. If you are looking for a downtown San Diego condo for rent please visit our San Diego rentals page. We also provide all sold The Lofts at 777 Sixth condo sales at our San Diego Sold Search. All The Lofts at 777 Sixth condos for sale are also listed below. Questions? Let our team of San Diego Realtor Associates help you. Please contact us at 1-888-990-7111 today!